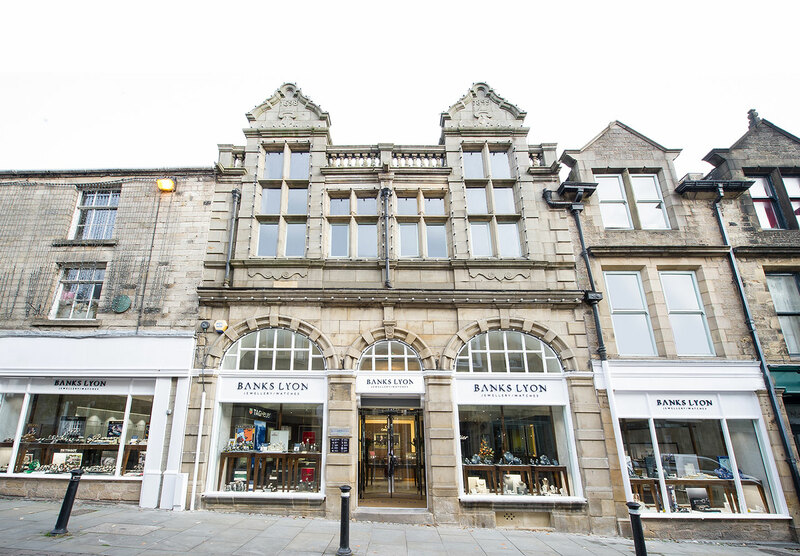 Banks Lyon Jewellers are a fully independent, family orientated business with a prestigious high street store in Lancaster and a newly opened store in Kendal. Our store’s history can be traced back to the 1880’s and in visiting you will be able to see a wide variety of stock. At Banks Lyon our team of amicable, highly experienced staff are always happy to help. We are here to offer friendly support and advice to all who need it and can use our knowledge and skills to guide you through the buying process. We want our customers to be 100% satisfied with the service that we provide and so we will go above and beyond to give you what you are looking for. We take customer feedback extremely seriously, and if you are not satisfied in any way we will always go that extra mile to rectify this. We also offer a free valuation service for any of our items worth over £2,000 which will allow you to acquire insurance cover and compensation in the event of loss. The history of our store stretches all the way back to the 19th century and we have extensive experience in dealing with customers from all over the world. We pride ourselves on our reputation for expertise, experience and impeccable customer service. Any watch you buy new from us comes with an Official International Manufacturer’s Warranty that lasts at least 2 years. If, for any reason you are dissatisfied with your purchase, then you are free to return your item to us within one week of purchase. 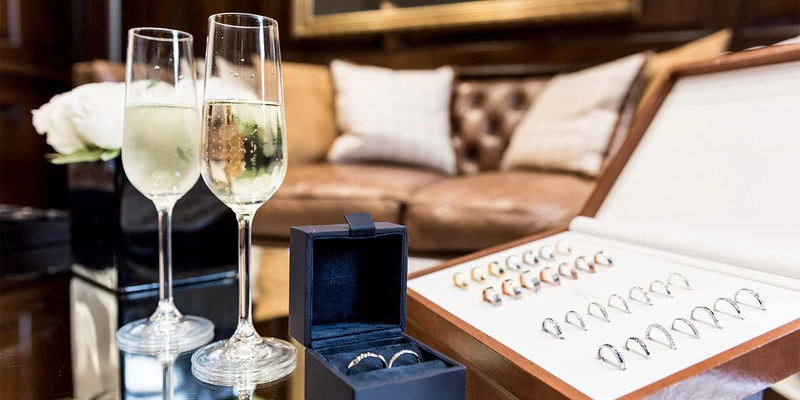 At Banks Lyon, our reputation precedes us and we take great pride in being considered THE jewellers of the North West of England, Banks Lyon were also awarded "Independent Jeweller of the Year" at the 2014 UK Watch & Jewellery Awards. Why are unauthorised sellers dangerous? Unauthorised dealers tend not to carry stock meaning that their watches are often sourced through dealers with a dubious reputation. Some infamous unauthorised dealers have, in the past, charged their well-meaning customers for watches that they do not possess and cannot source. This has led to a lengthy wait for the customer, endless frustration and eventually, fighting for a refund. There are many of these stories about unauthorised dealers online. If you purchase your watch from an unauthorised retailer, the manufacturer’s warranty will not be honoured and you will have to fund any maintenance yourself. This could lead to your watch being repaired with low quality parts which may mean additional, unnecessary repairs in future, costing you more than the money you thought you were saving initially. It is more than likely that the goods you purchase will be imported with VAT and duty implications meaning that you could be charged by Customs and Excise. Each watch comes with a unique serial number which makes its country of origin easily traceable and this is often checked by the authorities to ensure duty has been paid. Tax liability can also be back-dated, meaning that you could be liable for the watch for the past seven years. The goods you purchase from an unauthorised dealer may be stolen property. Customs and Excise track stolen watches on a regular basis meaning that you will be faced with the implications of handling stolen property. The watch you buy may be counterfeit meaning that there is the possibility it will be made with inferior parts. Counterfeit watches are very illegal and should be avoided at all costs. It is also possible that any profits made from the sale of counterfeit goods will be used for trafficking and other criminal activities, not to mention that they are often made by labourers in sweat shops under horrific conditions. Counterfeiters will do their utmost to persuade the public that their enterprises are totally legal but they are not. You should acknowledge these facts before you consider purchasing a fake.